Reve 324 is a cozy restaurant located in Stillwater, MN. As you can tell from reading many of my recent posts, I love to visit Stillwater. It is one of those places that you can get lost during a warm summer day by going shopping, walking near the river, and eating delicious food. It is a Minnesota foodie destination because of the beautiful surroundings. 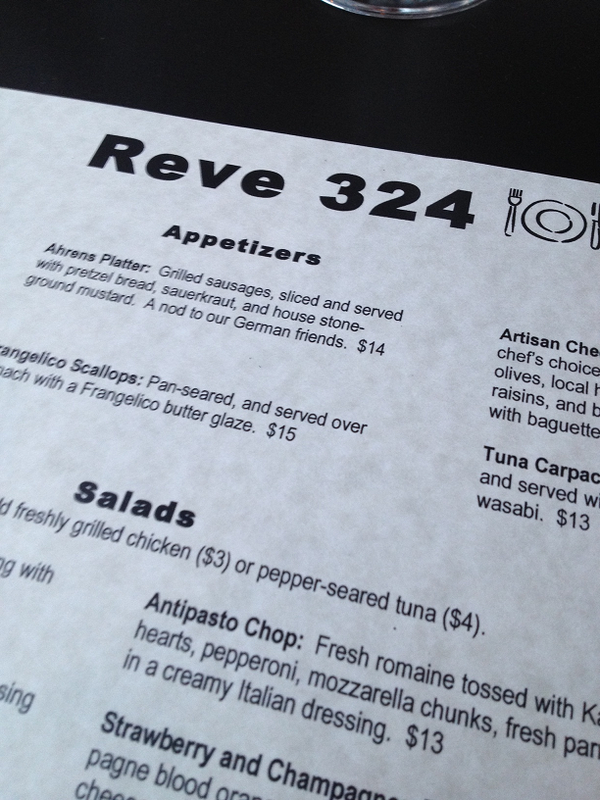 One weekend I found myself at Reve 324, it was a place that I have walked by a few times but had not eaten at before. I was pleasantly surprised by the dinner menu and the different options. It certianly was not what I expected. It is called a bistro bar and has the feel of a secluded resturant on a bricklined street. They have bottles on their wine list that are affordable. I had a bottle that was new for me. 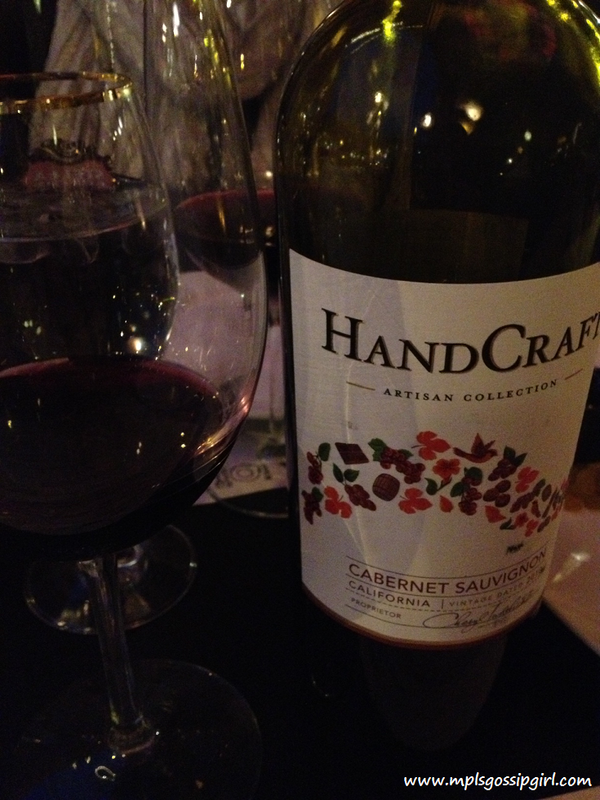 It was called HandCraft and now has become part of the rotation in my house because I liked it that much. 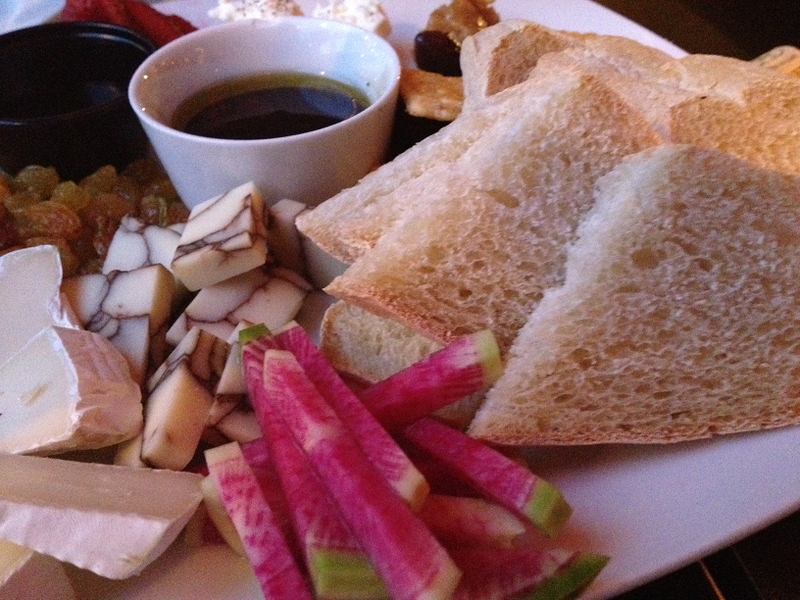 Another must order when you visit Reve 324 is the Artisan Cheese Plate. I enjoyed the selection of cheese as well as the other items that came with the plate. The honey was magnificent and if Reve would be willing to share where the honey is from they will have a new customer as well. I tried several selections from their dinner menu that night but a few items that stood out for me was the side of wild rice salad. It was fresh and a nice option besides the normal side items that are options at restaurants. The beet and goat cheese salad was also a highlight. The pecans and the bacon were a nice change for a beet salad, I liked the salty taste of the bacon without being too fatty and overpowering. A surprise was the burger that I tried. It was perfectly cooked and juicy. I am a sucker for a burger with an egg on top. The service at Reve 324 was also notable as well. Our server was attentive but not over powering and did a great job explaining dishes to us. What is your favorite Stillwater restaurant?